I believe that everyone in the bento world has at least 1 cutter to use for bento making. I love to use cutter for quick and neat cut. They come pretty handy all the time. Cutter comes with a lot of sizes, different shapes, and materials. This time I want to share some of my small cutter sets collection. 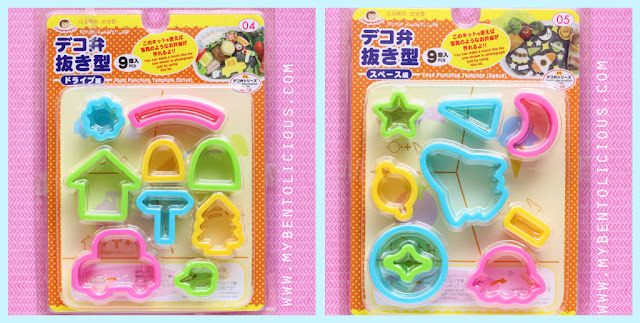 These small cutters are my favorite because I can use them for so many creations and also to decorate bento with details. They are just perfect in sizes. And the sets are not too expensive, even can be considered as very cheap; so they are worth to be added to your collection too. The sets following can be found and bought from many bento online stores. 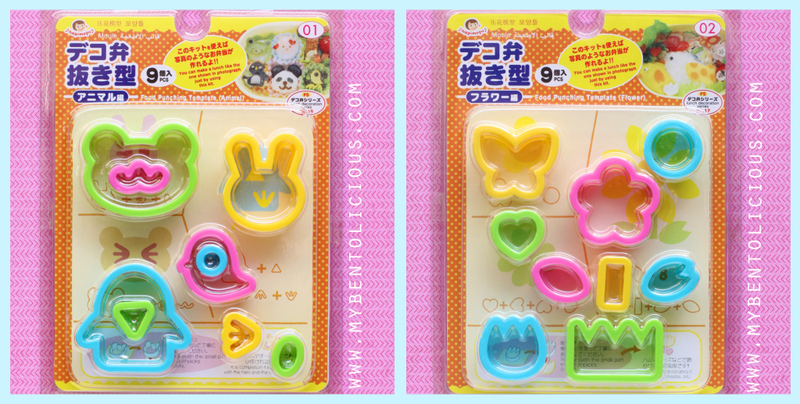 And you can also probably find them at your local Japanese shops in the bento section. The following sets can be found and bought from Daiso, 100 Yen Japanese Store. Wishing everyone a great weekend! 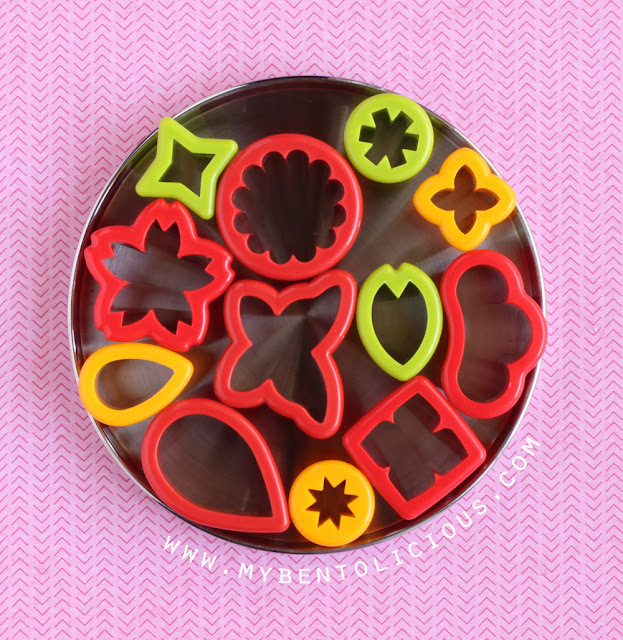 Have fun with your bento making! Hi Lia! I like all the different size cutters that each package has. I wish we had a store around here where we could go to and check out all the bento accessories and pick up what we need. Thank goodness for my bento friends and online shops! 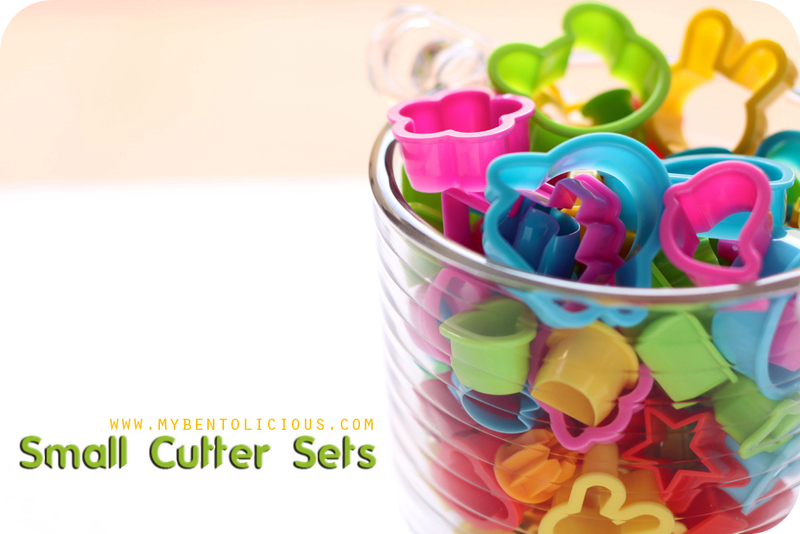 I don't have too many cutters yet, but I love your storage ideas...always helpful! Love seeing your pretty bento collections, so nicely styled. 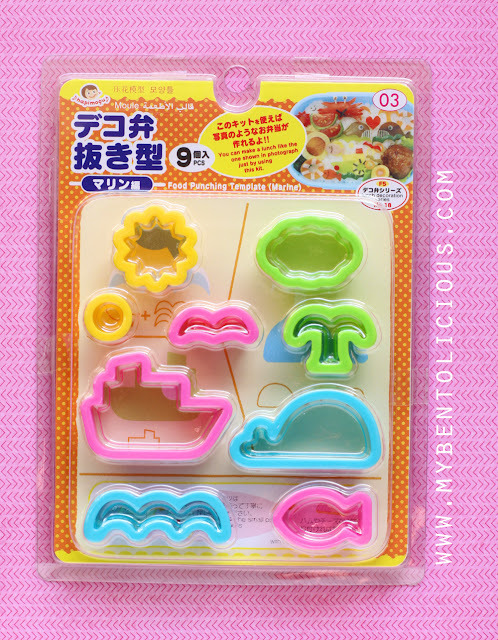 Just found some fun new bento supplies online today--so fun!! Happy weekend, Lia! I have some of those cutters too and they do come in handy when I'm in a rush! @Angeleyes : bwahahaha ... Shop till we drop? salam kenal, aku mirah dari bali..
aku cari-cari ngga ada yang selucu koleksi mba lia.. kalo mau pesen dari mba lia kira-kira harganya jadi berapaan ya?